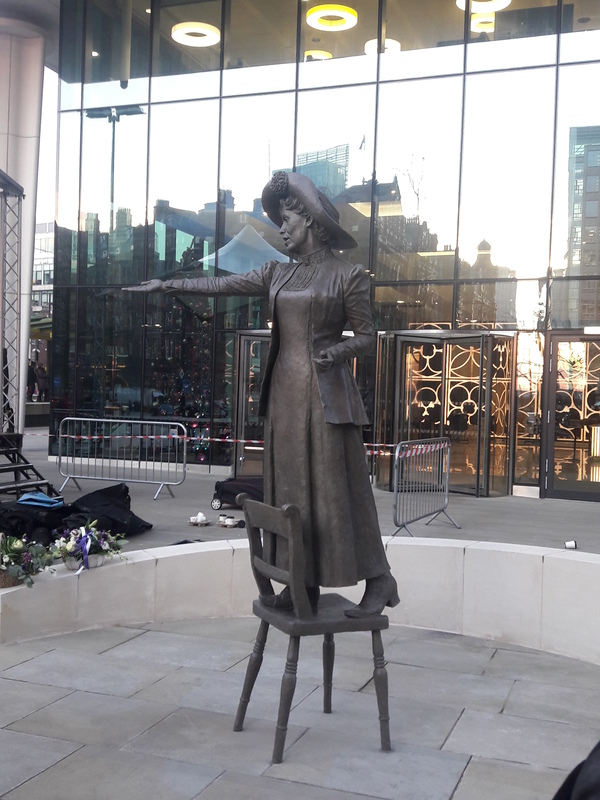 Manchester Art Gallery, Manchester Central Library, Archives+ and Ahmed Iqbal Ullah Race Relations Resource Centre teamed up to host a celebration of Manchester during March 2019. Primary school classes were invited to spend a day visiting the Gallery and Central Library, using the city’s collections to find out about Manchester’s buildings, communities and history. 8 primary school classes were invited to create their own virtual tour of Manchester Central Library for the workshops on “Manchester Buildings”. The schools involved in this project were: Alma Park (year 4), St. Francis (Year 3), St. Philips (Year 6), St. Charles RC (Year 5), Mersey Drive (Year 3) and Divine Mercy (Year 5). During each session, children were grouped to study the following library areas: The Reading Girl, The Mosaics, The Time Capsule, The Henry Watson Music Library and The Wolfson Reading Room. Using a Theta Ricoh 360 camera and an ipad, small sized groups enabled everyone to have an opportunity to get to learn and use the 360 camera. Each group was given a short description about the space, a task to complete, fun play time with the camera and time to shoot 360 photographs and videos. In the link area between the library and the Town Hall extension, you will find some mosaic flowers on the floor. 18 of the mosaics have red centres, which display the names of the 18 people who died at the Peterloo Massacre. This gathering, which was intended to be a peaceful protest, where families joined together to demand change for the better, took place 200 years ago this year. They could not afford food, their lives were very hard and they wanted their voices to be heard. 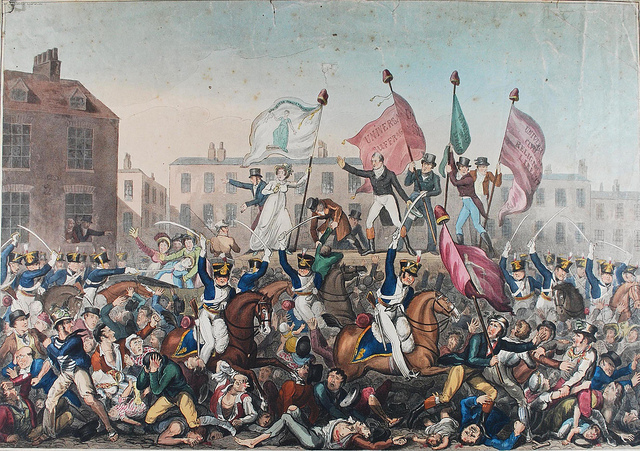 The Cavalry charged into the crowd, which included children and over 600 people were injured, including 18 people who died. The children were asked to think about what is unfair today in 2019 and design their own banners to illustrate this. The Reading Room provides a study space for up to 300 students. It is one of the only places in the library which is completely silent. Around the dome is a quotation from the bible, “wisdom is the principal thing; therefore get wisdom; and with all thy getting, get understanding”.The acoustics in the reading room are very unusual. The dome creates a whispering gallery. The children were asked to draw the Reading Room and show how they thought noise would move around the room before then going up to the Reading Room to test out the echo for themselves. “This has been the best part of today!” This exercise proved to be very popular! What a week we have had! The children’s creativity and eagerness to learn and explore has been astounding. We’ve seen some amazing work created this week, we’ve had lots of fun and more importantly, the doors of imagination have been opened up to our future storytellers, Reading Room students, radical Mancunians and Manchester music makers! Well done and thank you to all the schools involved…that’s a rap!